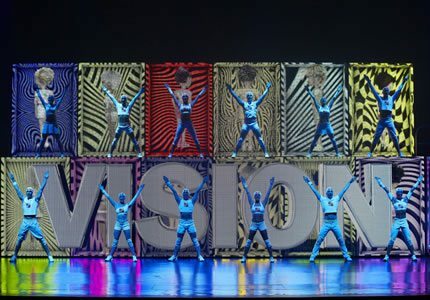 We Will Rock you is the hugely popular jukebox musical written by British comedian and writer Ben Elton and based around the music of the internationally renowned rock band, Queen. Rather than telling the story of Queen’s rise to fame, Elton constructed an entirely fictional storyline within which to place the rock anthems. Set in a hell like dystopian future land in which the planet earth has been crudely transformed into “Planet Mall”, We Will Rock You is the story of a world without innovative music and creative thought, a world where teens have to download their music from an approved list on a government database and a world where people are expected to fall in line. Unfortunately for the big bad rulers of Planet Mall, Killer Queen and Commander Khashoggi, there is rebellion bubbling in the form of the wily dreamer, Galileo. Galileo (revealed as a reincarnation of the late Freddie Mercury) is the principle character who longs for a change and dreams of long-lost Rock ‘n’ Roll riffs. Dying to impress love interest Scaramouche and the rest of the Bohemians fighting their repression, Galileo quests to resurrect Wembley Stadium. The production is extremely popular with tourists who are attracted to the legacy of Freddie Mercury and Queen. 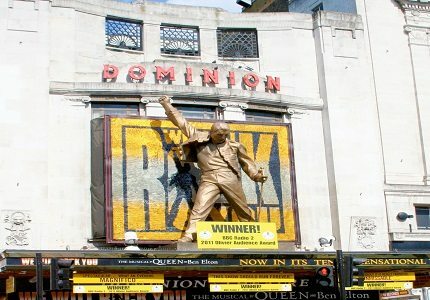 We Will Rock You won the 2011 Laurence Olivier Audience Award for Most Popular Show. 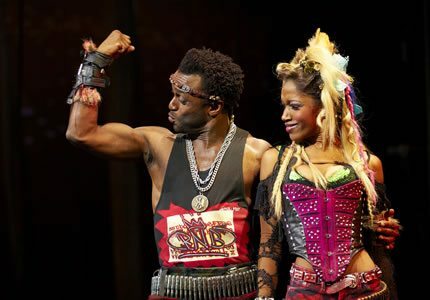 We Will Rock You is by nature a loud show which could potentially startle a younger audience. There is some mild adult content and sexual references which are not appropriate for youngsters. Children of 10 and over may enjoy the show accompanied by a guardian.